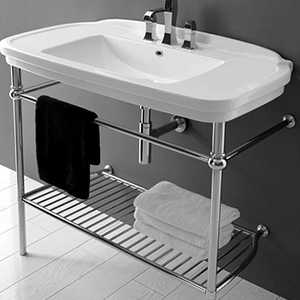 Studio Bagno (or simply Bathroom Studio in Italian) is an Australian national wholesale distributor of high quality European designer bathroom products. With a reputation founded on quality and excellence, Studio Bagno has been delivering the most exciting collection of bathroom products to the Australian market from all of over the world for the past eight years. To complement their extensive array of imported bathroom products, Studio Bagno has engaged some of Australia’s most prominent designers to create unique products specifically for the Australian bathroom market. This focus on cutting edge design and procurement has seen Studio Bagno bathware products utilised in a wide array of Australian commercial and residential property projects. Studio Bagno take great pleasure and pride in bringing you beautiful bathroom products from all over the world.